Posts tagged with "Diana Macaraeg"
Why call this new museum show Beyond the Cape? Compared to so many other exhibitions around the world about comic books, this original and unconventional take soars beyond just superheroes. Beyond the Cape! Comics and Contemporary Art shows how some of the most currently sought-after contemporary artists are influenced by graphic novels and comic books. The artworks in this pioneering show making its world premiere at the Boca Raton Museum of Art take viewers on a deeper dive into adult realms, tackling some of today’s thorniest issues: politics, divisiveness, immigration, racial prejudice, planetary climate armageddon, feminism, LGBTQ rights, religion, gender, and more. Kumasi J. Barnett, George Condo, Renee Cox, Liz Craft, Kota Ezawa, Chitra Ganesh, Mark Thomas Gibson, Trenton Doyle Hancock, Christian Marclay, Kerry James Marshall, Takahasi Murakami, Elizabeth Murray, Yoshitomo Nara, Joyce Pensato, Raymond Pettibon, Peter Saul, Kenny Scharf, William T. Wiley, David Wojnarowicz, and Michael Zansky. Some of the most acclaimed underground comic book artists are also front-and-center, including: R. Crumb, Aline Kominsky-Crumb, and Mimi Pond. ﻿Also featured in the exhibition are artists from The Hairy Who: Gladys Nilsson, Jim Nutt, and Karl Wirsum. The show features more than 80 works by 40 artists: paintings, video, photography, sculpture, prints, drawings, and tapestries. Rare comics will also be shown, plus contemporary animation and rarely seen historic cartoons from the early 1900s on vintage TVs. This exhibition is curated by Kathleen Goncharov, Senior Curator at the museum. She recruited as her ‘muse’ for this exhibition Calvin Reid, the Senior News Editor at Publishers Weekly and a leading expert in the field of comics. ﻿Reid was one of the first critics to recognize comics as a literary form for adults, and selected the comic books and graphic novels in the reading room where the public can comfortably lounge and enjoy reading (many from Reid’s own private library). “Beyond the Cape delves into the world of comics and graphic novels and their influence on contemporary artists. Their work defies commonalities, but come together to present a boldly visual, eye-opening mirror of our contemporary world and present issues,” said Irvin Lippman, the executive director of Boca Raton Museum of Art. Some of the surprising twists and turns visitors can see at Beyond the Cape! Elizabeth Murray began working with comic imagery in the 1970s, when minimalism dominated the art scene. Her personal, colorful work proved that painting was still relevant and ripe for innovation, and set the stage for a return to figurative work in the 1980s. As a child she drew from newspaper comic strips, and even sent a sketchbook to Walt Disney. Kerry James Marshall’s work is currently at the very top of the art market. Known for his flat, colorful paintings of contemporary Black America, for the past 20 years he has been working on his comic series Rythm Mastr (set in the Black community where his Chicago studio is located). ﻿The genesis of Rythm Mastr began with the demolition of public housing and the spike of violence in Chicago in the 1990s. He grew up in the Watts area of South-Central Los Angeles, and the Civil Rights and Black Power movements impacted this artist’s work. Most assume comics are primarily intended for children, usually featuring super heroes as evidenced by today’s popular films – but this exhibition is decidedly for adults. 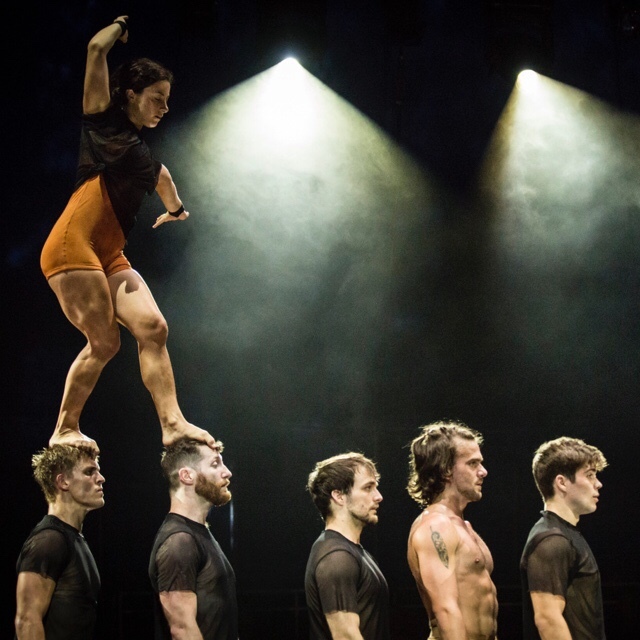 The only references to superheroes in this show are by Renee Cox (whose Jamaican anti-racist avenger Raje does not wear a cape), and Luca Buvoli’s animation Not-a-Superhero. Art that is flat, graphic and colorful (like the art in graphic novels and comics), is taking center stage in the Instagram age. Artists, galleries and collectors are turning to social media as the place to promote their art and find art to purchase. Looking beyond the 1960s Pop Art movement led by big name New York artists, this show features the “other” art movements from the 60s and 70s such as Bay Area Funk Art and the Chicago Imagists (who called themselves Hairy Who). ﻿These artists rebelled against the formalist New York style, and during their youth, they were belittled as ‘provincial regionalists’ by the New York-centric art world of the time. ﻿The Chicago artists in Hairy Who (Jim Nutt, Gladys Nilsson, and Karl Wirsum) have greatly influenced younger artists of today. 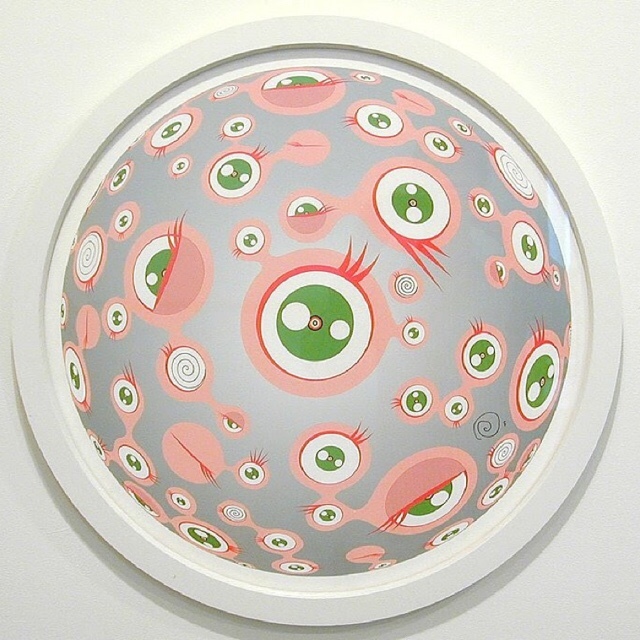 A nod to Japanese Manga comics and graphic novels features two major artists: Takashi Murakami and Yositomo Nara. Almost all of the artists in this exhibition are living artists, except for three: Elizabeth Murray, H.C. Westermann and David Wojnarowicz. Chitra Ganesh is an Indian-American artist who combines the iconography of Hinduism, Buddhists and South Asia pictorial traditions with the contemporary popular visual language of comics, illustration and science fiction. Her work will include a giant 3-D hand with projected henna designs used by women in India and the Middle East. She will also show a series of work loosely based on the comic book series Amar Chitra Katha (Immortal Illustrated Stories). Ganesh’s original comic book premiered in India in 1967 and was intended to teach children traditional historical and religious stories. Unfortunately, the original series reinforced the caste system with its attendant issues of race and gender. In her work, Ganesh flips the script by highlighting alternative feminist narratives. California artist Peter Saul, 85, was not taken seriously outside of California until relatively recently. Today his work is in great demand and is a major influence on young artists. Similar to comics, his work is irreverent, idiosyncratic, colorful and political. Koto Ezawa’s comics-inspired animation tells the story of the Isabella Stewart Gardner museum art heist. Michael Zansky, the son of Louis Zansky who drew the early “Classic Comics” in the 1940s, is a painter and multi-media artist whose monumental large cut, burnt and carved wood panels feature mysterious hybrid creatures inspired by comics, ancient art and works from the Western art canon. Another family connection is Jody Culkin who is a descendant of Harriet Hosmer, a prominent neo-sculptor who lived in Rome in the 19th century. Hosmer was a scholar, an inventor, writer and feminist. She wrote a play set in London and in the then-future (1977) in which mummies come to life in the British Museum. Featured in this exhibition is the rarely seen animated comic Culkin made about this play. Kumasi Barnett uses actual comic books in his work to create new characters such as The Amazing Black-Man. His nine works featured in this show will be encased in plastic, the way rare comics are sold. An extensive reading room designed by IKEA features hundreds of graphic novels and comics for the public to comfortably peruse in a relaxed setting. Selected by Calvin Reid, Senior News Editor at Publishers Weekly, the 200+ comic books and graphic novels include many from his own personal library. The public can enjoy reading works by Lynda Barry, Allison Bechdel, Roz Chast, R. Crumb, Aline-Kominsky Crumb, Mimi Pond, Trina Robbins, Art Spiegelman, George Takei and Ronald Wimberly, and many others. Reid began writing in the 1980s, about the same time Art Spiegelman and R. Crumb, alumni of the underground RAW comics, emerged as serious figures in the comic world. Spiegelman’s MAUS is probably the first graphic novel to reach a wide audience. A goal in providing the reading room is to inspire fans of graphic novels who may not be prone to visit a museum to take the leap, walk into a museum and experience works of art in person. Rare comics and a series of contemporary and historic animation works will also be on view. Support for this exhibition is generously provided by the Museum’s Leadership Fund, with major funding from: Estate of Ardele L. Garrod, Isadore & Kelly Friedman Foundation, PNC Bank, Jody H. & Martin Grass, Anne & Scott P. Schlesinger, Jennifer & Marc Bell, Dalia & Duane Stiller, Susan & Eric Kane and Laurence W. Levine Foundation, Angela & John DesPrez III, El Ad National Properties and Alina Properties, Joy & Richard Blakeman and Lisette Model Foundation, Karen Mashkin, Patricia Savides, Schmidt Family Foundation, the Museum’s Friends Auxiliary, and those who wish to remain anonymous. In-kind corporate support for the exhibition is generously provided by IKEA. This entry was posted in Uncategorized and tagged 3D, and Michael Zansky360 magazine, art, beyond the cape, boca raton museum of art, Chitra Ganesh, Christian Marclay, comics, David Wojnarowicz, Diana Macaraeg, divisiveness, Elizabeth Murray, famous, Feminism, gender, George Condo, immigration, Joyce Pensato, Kenny Scharf, Kerry James Marshall, Kota Ezawa, Kumasi J. Barnett, LGBTQ rights, Liz Craft, Mark Thomas Gibson, masters, Peter Saul, planetary climate armageddon, politics, racial prejudice, Raymond Pettibon, religion, Renee Cox, Takahasi Murakami, Trenton Doyle Hancock, Vaughn Lowery, William T. Wiley, Yoshitomo Nara on April 6, 2019 by wp360mag. 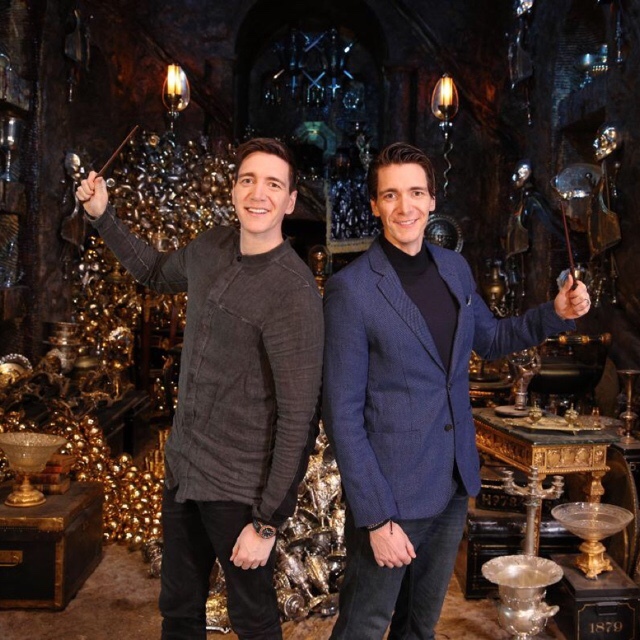 Wizarding World cast members made a special appearance at the launch of the new Gringotts Wizarding bank set at Warner Bros. Studio Tour London. Jason Isaacs who portrayed Lucius Malfoy in the Harry Potter film series, as well as Dan Fogler and Claudia Kim who played Jacob Kowalski and Nagini respectively in the Fantastic Beasts film series, attended the VIP event. Guests to the exclusive evening were welcomed into the new hub by a full-size Ukrainian Ironbelly Dragon. The dragon has been created by the original team of filmmakers from over four tonnes of clay. After this mystical entrance, guests were welcomed into the authentic Gringotts Wizarding Bank. Gringotts Wizarding Bank is famously run by goblins. Walking through the imposing marble columns, guests can discover the costumes and prosthetics belonging to Bogrod, Griphook and many other goblin bankers. Each prosthetic mask took weeks to create, with every hair individually inserted and veins painstakingly painted by hand. It took four hours to transform actor Warwick Davis into Griphook in the films, which included him wearing black contact lenses and dentures with extremely sharp teeth to complete the goblin look. Once through the banking hall of Gringotts, visitors can enter the depths of the Lestrange Vault used to store the treasures of Bellatrix Lestrange, including the Sword of Gryffindor and Helga Hufflepuff’s Cup, one of Voldemort’s many Horcruxes. During filming 38,000 pieces of rubberised treasure were created for the Lestrange vault including 7,014 Hufflepuff Cups. Officially opening on Saturday 6th April, the 16,500sqft Gringotts Wizarding Bank expansion is the Studio Tour’s biggest addition to date and has been designed and built by many of the original crew members who worked on the hugely successful magical film series. 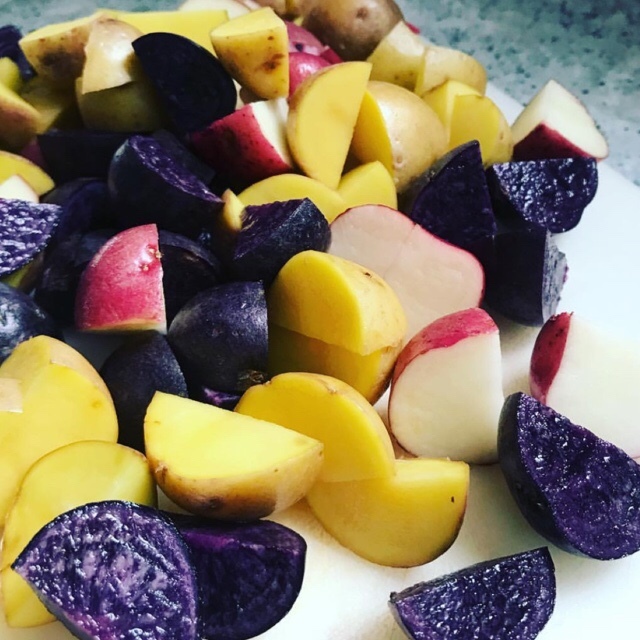 This entry was posted in Uncategorized and tagged 360 Magazine, Bellatrix Lestrange, Celebrities, Claudia Kim, Dan fogler, Diana Macaraeg, fantastic beats, gringotts Wizarding bank, Harry Potter, Helga Hufflepuff’s Cup, Horcruxes, Inkwells, Jason Isaacs, Knuts, launch, ledgers and piles of Galleons, London, majestic, movie, Pierre Bohanna, quills, Sickles, Sword of Gryffindor, Vaughn Lowery, Voldemort on April 4, 2019 by wp360mag. With over 200 vehicles exported to North America, we have perfected the art of balancing authentic restoration with modern day comforts. To celebrate our ten-year anniversary in 2017, the Arkonik team curated DECADE. 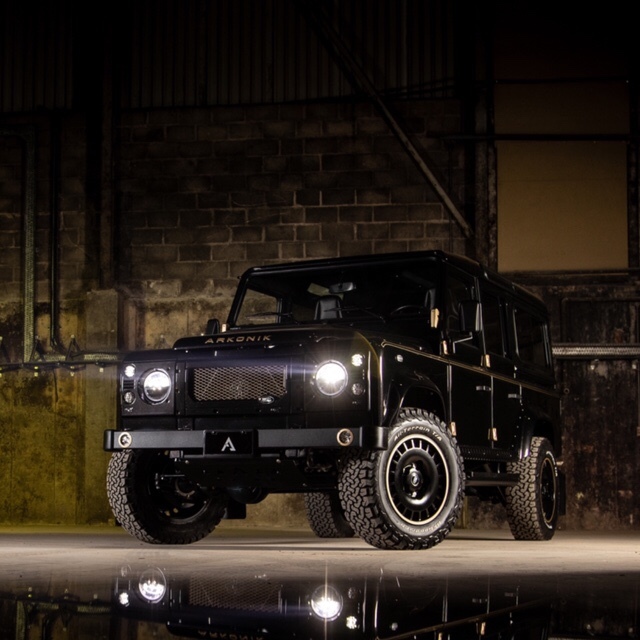 Fast forward eighteen months and we are pleased to unveil this completely restored and reimagined, one-of-a-kind Defender. Beat the waiting list: DECADE is available for immediate delivery, straight to your doorstep! Decadent gold accents complement the custom Santorini Black bodywork, including the trademark hinges, KBX® Signature grille and wing-top air intakes. Hand-painted pinstripes have been added along the flanks and under the bulging Puma hood. The distinctive theme continues inside with sumptuous black leather upholstery and gold fluting. DECADE is currently at Arkonik headquarters, ready and waiting to embark on a new adventure. This entry was posted in Auto and tagged 360 Magazine, arkonik, ASAP, auto, bespoke, car, defender, delivery, Diana Macaraeg, immediate, Kahn, Kbx, land rover, luxury, moto-lita, one-of-a-kind, Puma, Ruskin, Santorini black, UK, Vaughn Lowery on April 3, 2019 by wp360mag. 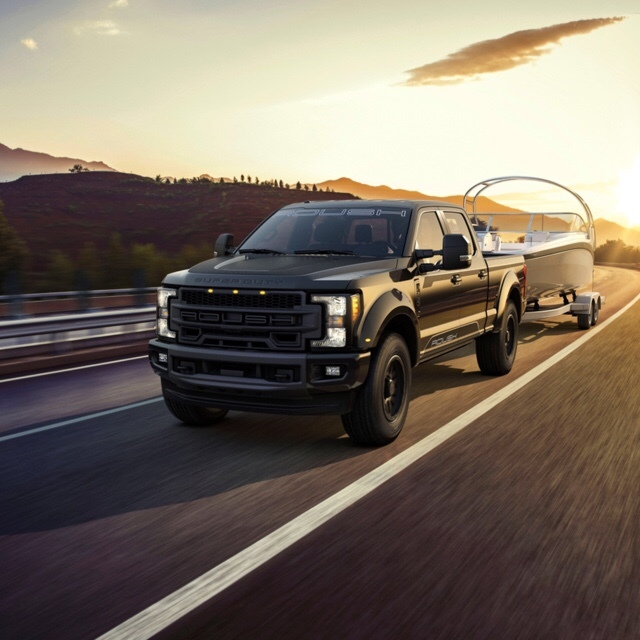 The 2019 ROUSH Super Duty brings ROUSH’s bold design and signature performance to the 2019 Ford F-250 and F-350 Super Duty platforms. ROUSH Performance has announced the release of its most capable heavy-duty truck ever, the 2019 ROUSH Super Duty. These vehicles offer incredible performance, whether towing heavy loads or exploring backcountry trails, with power and dependability backed by a 3-year/36,000-mile limited warranty. ROUSH offers the 2019 ROUSH Super Duty on 2019 Ford F-250 and F-350 trucks equipped with either the 6.2 liter SOHC 2-Valve Flex Fuel V8 producing 385 horsepower and 430 foot-pounds of torque or the 6.7 liter PowerStroke® Turbo Diesel V8 producing 450 horsepower and 935 foot-pounds of torque. All diesel-equipped models include a high-performance ROUSH DPF-Back Exhaust System, which improves exhaust flow and features dual custom 5-inch exhaust tips for an aggressive look. The 2019 ROUSH Super Duty comes equipped with an advanced ROUSH/Fox 2.0 Performance Series Suspension System that features improved front and rear shocks designed for excellent handling dynamics on and off-road without sacrificing the Super Duty’s best-in-class towing and payload capacity. The included leveling kit adds a lifted look and off-road-inspired stance while further increasing suspension performance on uneven terrain. The vehicle features 20-inch ROUSH off-road wheels with two options of colored trim rings for bead protection. The wheels are wrapped in high performance BFGoodrich All-Terrain T/A KO2 tires for maximal stability, grip and handling on rough terrain. ROUSH includes a variety of aesthetic and utility improvements for the 2019 ROUSH Super Duty including a signature ROUSH Front Grille with accent lighting, body-color fender flares with accent lighting, a ROUSH square “R” hitch cover and a ROUSH Front Bumper Cover compatible with active cruise control. To complement Ford’s new Lariat Sport trim package, which features black fender badges, halogen headlights with blackout surrounds, and body-color bumpers, ROUSH offers multiple graphics packages to allow each driver to customize their truck. Interior modifications include custom ROUSH headrest embroidery, a unique serialized console badge, ROUSH Floor Liners by WeatherTech, and a custom gauge cluster on diesel models. Those looking for additional off-road utility can also add an optional off-road utility kit and, to keep valuables hidden, an optional Console Vault safe. Pricing on the ROUSH Super Duty begins at $15,685 over factory MSRP. Visit www.ROUSHperformance.com to build your ROUSH Super Duty and find a ROUSH dealership near you. This entry was posted in Auto and tagged 360 Magazine, 385 hp, 450 hp, all terrain, America, auto, bfgoodrich, Diana Macaraeg, dpf-back exhaust, f-250, f-350, Fox 2.0, halogen, heavy duty, jack roush jr., ko2, lariat sport, modification, performance, powerstroke, roush, sohc, super duty, t/a, towing, v8, Vaughn Lowery on March 28, 2019 by wp360mag. After nearly 30 years of doubt, the Wadsworth Atheneum’s painting, Vase with Poppies, by Vincent Van Gogh, has now been fully authenticated by specialists at the Van Gogh Museum. While the painting came to the Wadsworth in a bequest from the writer and French Impressionist collector Anne Parrish Titzell in 1957 along with works by Renoir, Monet, and Redon, Vase with Poppies has been difficult to confidently attribute since questions about Van Gogh’s practice remained unresolved. Experts in Amsterdam following scientific and art-historical inquiry have determined that the painting technically and stylistically concurs with Van Gogh’s documented work in 1886. This new finding means that the Wadsworth is home to two Van Gogh’s, Vase with Poppies will join Self Portrait, both painted during his Paris period 1886-1887 atop earlier paintings. Concurrent to the physical examinations by the team at the Van Gogh Museum, recent investigations uncovered that the painting was exhibited at the watershed 1913 Armory Show in New York City. These new investigations were all prompted by the Wadsworth conservation lab using newly acquired imaging equipment through the generosity of the Sherman Fairchild Foundation. Digital x-ray and advanced infrared reflectograms revealed with greater clarity than ever before the presence of an earlier painting beneath the current composition. These early forensic findings made sending Vase with Poppies to the Van Gogh Museum for advanced study the logical next step. Their work–analyzing the paint, materials, linen, style–enabled a level of professional scrutiny and artist specific context to arrive at this new judgement of authenticity with great confidence. The painting will return home to the Wadsworth Atheneum in Hartford, Connecticut just in time for the opening of the 38th Annual Fine Art and Flowers on Friday, April 26, 2019. 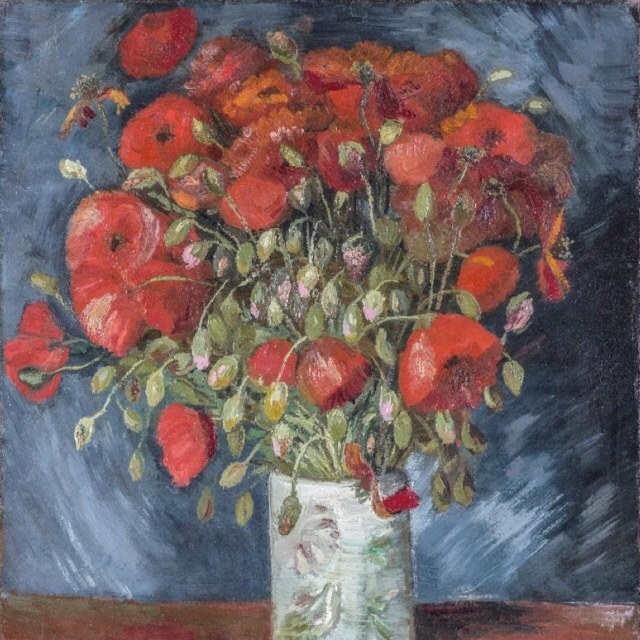 Vase with Poppies will next go on loan to Europe for The Museum Barberini in Potsdam, Germany’s exhibition Van Gogh: Still Lifes (October 26, 2019 to February 2, 2020) where it will join a number of these transitional works, allowing the public and scholars alike, access to this exciting development through side-by-side display. Founded in 1842, the Wadsworth Atheneum Museum of Art is the oldest continuously operating public art museum in the United States. 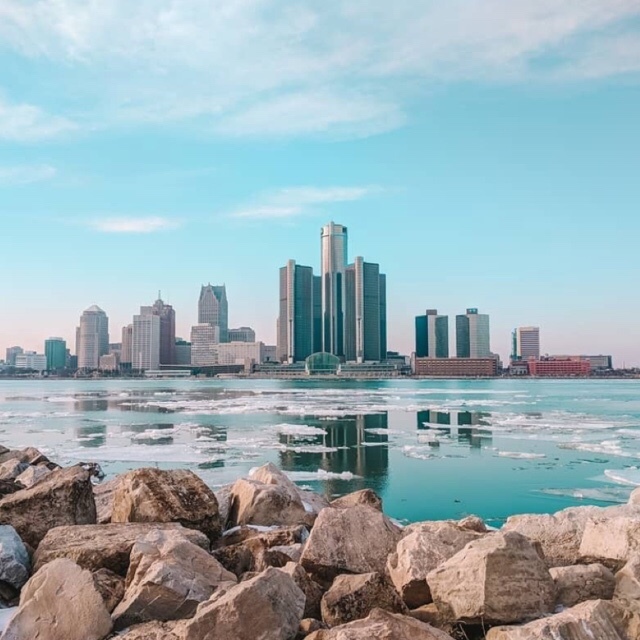 The museum’s nearly 50,000 works of art span 5,000 years, from Greek and Roman antiquities to the first museum collection of American contemporary art. The Wadsworth Atheneum’s five connected buildings–representing architectural styles from Gothic Revival to modern International Style–are located at 600 Main Street in Hartford, Conn. Hours: Wednesday-Friday: 11am-5pm; Saturday and Sunday: 10am-5pm Admission: $5-15; discounts for members, students and seniors. Free admission for Hartford residents with Wadsworth Welcome registration. Free “happy hour” admission 4-5pm Public phone: (860) 278-2670; website: thewadsworth.org. This entry was posted in Design and tagged 360 Magazine, a Van Gogh without a doubt, Anne Parrish Titzell, armory show, art, Diana Macaraeg, French, gothic revival, Impressionism, master, Monet, museum of art, Redon, Renoir, university of Amsterdam, vase with poppies, Vaughn Lowery, Vincent van Gogh, Wadsworth museum on March 25, 2019 by wp360mag. Multiplatinum, record-breaking superstar Ariana Grande, kicked off her Sweetener World Tour last night in Albany, NY. The tour will continue through 2019 with stops worldwide, including a headlining Coachella performance next month. Full Sweetener World Tour schedule HERE. This entry was posted in Feature and tagged 360 Magazine, Ariana Grande, artist, Celebrity, Diana Macaraeg, Feature, God is A Woman, lit, music, Next, no tears left to cry, Platinum, sweetener world tour, Thank U, tour, Vaughn Lowery on March 20, 2019 by wp360mag. 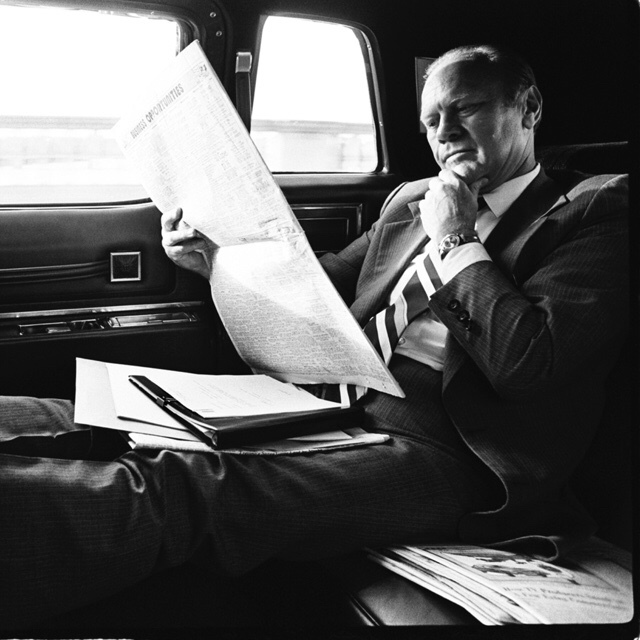 Pulitzer Prize winning and presidential photographer David Hume Kennerly’s exhibit “Extraordinary Circumstances: The Presidency of Gerald R. Ford” will be on display for the first time at the Gerald R. Ford Presidential Museum in Grand Rapids, Michigan. The exhibit is scheduled to open on March 25 with a ribbon cutting at 5 p.m. and a presentation at 7 p.m. featuring Kennerly and Ford’s daughter Susan Ford Bales. “Extraordinary Circumstances: The Presidency of Gerald R. Ford” follows Ford’s presidency from the day he was appointed vice president to the end of his presidency. The exhibit is a collection of behind-closed-door images, including the inner workings of the White House, the Ford family, and the end of Ford’s presidency after losing to Jimmy Carter in the 1976 election. In 1972, Kennerly was awarded the Pulitzer Prize in Journalism for a portfolio of his photos from the Vietnam War, the Ali-Frazier fight, refugees from East Pakistan in India, and combat in Cambodia. Two years later, at age 27, he accepted an appointment to serve as Ford’s chief presidential photographer. Kennerly was named “One of the 100 Most Important People in Photography,” by American Photo Magazine. He served as contributing editor for Newsweek for more than a decade and a contributing photographer for Time and Life magazines. Kennerly has published several books of his work: “Shooter,” “Photo Op,” “Seinoff: The Final Days of Seinfeld,” “Photo du Jour,” “Extraordinary Circumstances: The Presidency of Gerald R. Ford,” and “David Hume Kennerly On the iPhone.” He covered the 2016 presidential campaign for CNN, and was a major contributor to the network’s book, “Unprecedented: The Election that Changed Everything.” His exclusive photo of Trump taken two weeks after he was elected was featured on the cover. This entry was posted in Design and tagged 360 Magazine, American photo magazine, David humes kennerly, design, Diana Macaraeg, Gerald r. ford, grand rapid, Michigan, museum, personal, photographer, president, Pulitzer prize, Susan ford bales, Vaughn Lowery, Vietnam war on March 20, 2019 by wp360mag.